Tap the wrench icon at the bottom to open the Settings panel. 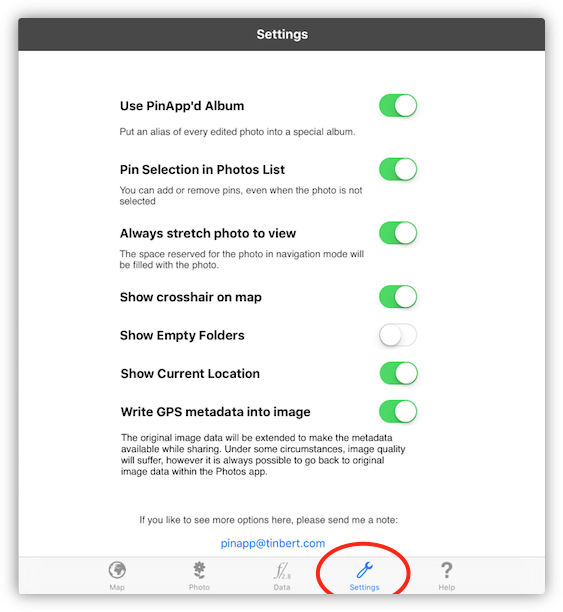 Use PinApp'd Album: As an option, PinApp creates a folder with two albums contained: PinApp'd Photos and Imported by PinApp. 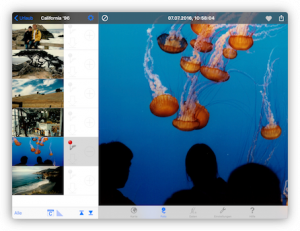 Both will be filled automatically with links to the photos which you have edited inside PinApp or imported, accordingly. There will not be created any copies, so the memory footprint is really small. 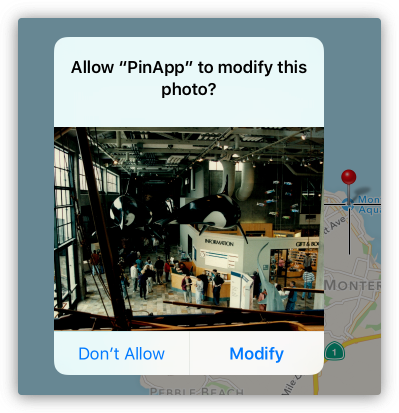 Pin Selection in Photos List: Even without selecting a photo you can set a pin on a photo by tapping the grey pin. By default this option is turned off. Show Empty Folders: iOS will create several smart albums which sometimes are empty. You may hide these. Show Current Location: If your iPad supports GPS, this option will show the current location on the map. To move the map view there, choose the first menu entry "Current Location" in the bookmarks panel. 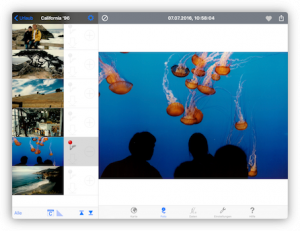 Write GPS metadata into image: By default, PinApp (and the Photos app as well) will not write GPS data into the metadata of a photo. The GPS data are only put into the photos database. This works for most photo apps. If you rather like to change the metadata, choose this option. When a photo is being shared, the metadata will always be included.